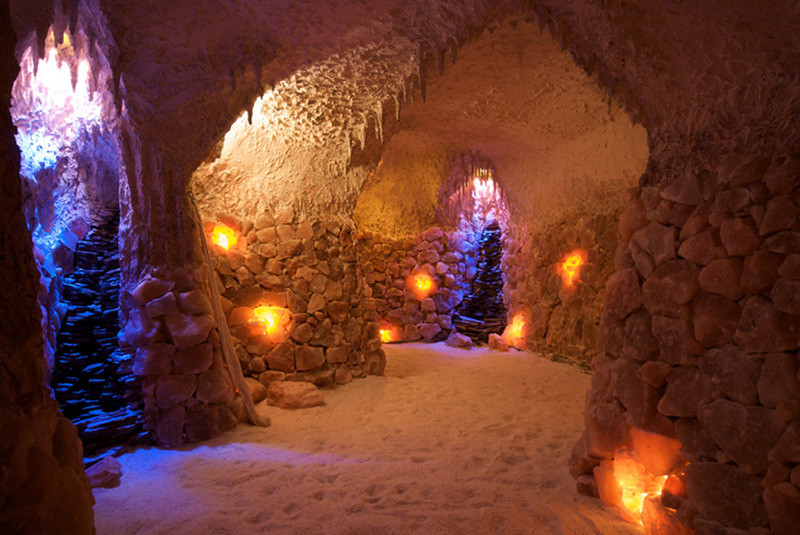 Salt cave walles are covered by salt rock and salt water which contain microelements and minerals essential for human body functions, as iodine, kalium, sodium, selenium, calcium, magnesium, chlorid. The iodine concentration is many times higher than by the sea thanks to salt character and corresponding equipment placed in a salt cave which means that during 45 minutes stay in a cave we breathe in the same amount of microelements as during three-week stay by the sea. 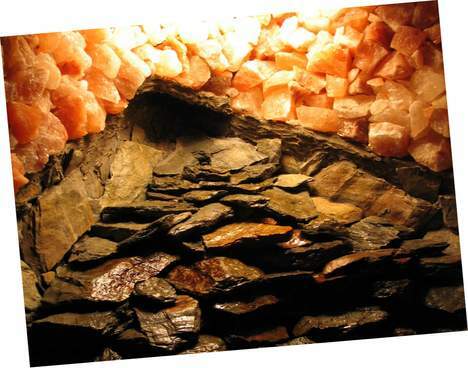 Salt cave air is clean and full of negative ions which neutralize positive ions. Positive ions are responsible for our weakness and bad health condition. 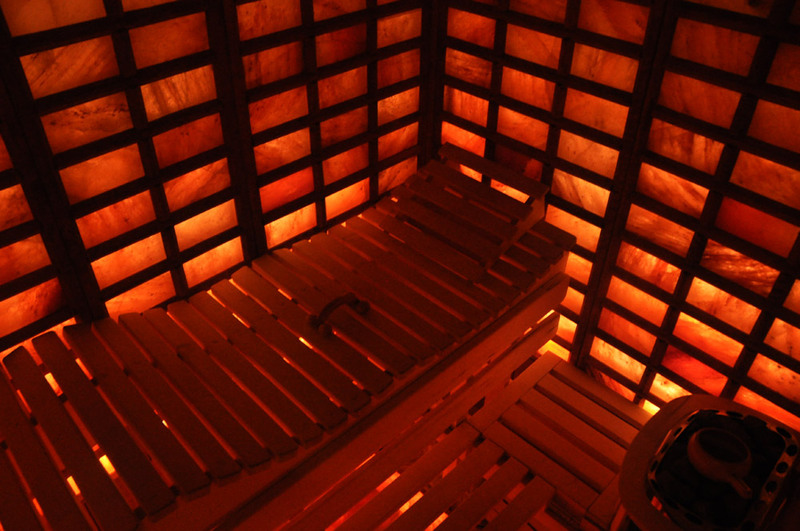 After several stays in a salt cave we can feel a positive effect of negative ions on our body – we start to feel recovered, relaxed and without tension. 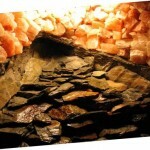 A salt cave is a perfect place where you can spend time in a nice environment, relax, forget daily problems. 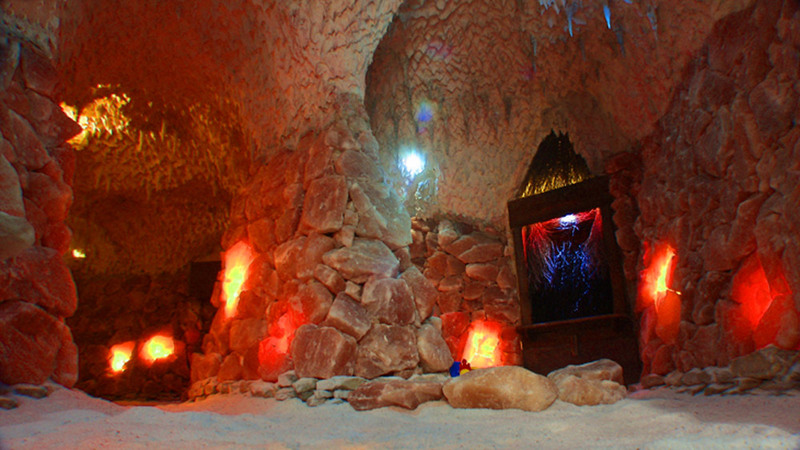 A stay in a salt cave is profitable for an individual and whole family – also babies can use the advantages of salt caves.